Take the ultimate tour of St. Thomas! Enjoy a full day of sightseeing, shopping, and swimming. Start your tour with a convenient pickup from your ship or hotel, and our knowledgeable tours guides will take you to all the best spots on the island. Begin at Charlotte Amalie for some shopping in our downtown shops. Purchase souvenirs, or shop for the finest jewelry, electronics, or spirits. Return to your tour for a drive around the island to see all the beautiful scenery, breathtaking beach views, and clear Caribbean waters. Enjoy the party atmosphere with many stops for picture opportunities to commemorate your tour. Get the ultimate view at Mountain Top, the island’s tallest peak, and try the world famous banana daiquiris. Enjoy a beautiful view of Magen’s Bay—one of the top 10 beaches in the world! End your trip with hours of fun frolicking at any of the three local beaches. 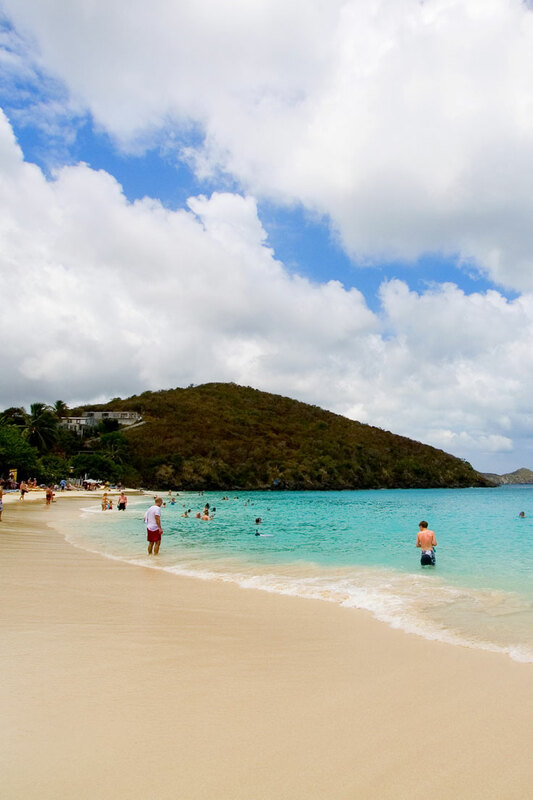 Choose from Sapphire Beach, Magen’s Bay, or Coki Beach for two hours of fun in the sun. Rent a chair or snorkeling equipment for a day close to shore, or opt for a Jet Ski to explore farther out to sea. View some of the colorful fish and marine life of the Caribbean, or simply stay on shore for some local food and sun. If you choose Sapphire or Coki Beach, on the way back, take in the sight of the Red Hook area to see how the locals live. Return back to your ship or hotel room with plenty of time to enjoy a night out on the island. Do not miss out on this amazing island opportunity. Book your ultimate tour today! Our cruise ship accommodation features a departure at 9:00 AM and a return time of 3:00 PM to meet cruise ship schedules.